Very interesting design, it is very different from what you normally see in terms of "modern" design. I think it will take time to get used to it. Nonetheless it does look nice in terms of design. Thanks for sharing. I love this post thanks for sharing this. That's excellent !! I have found a new alliance opportunity for Designers/Interior Designer and Architect with a company called GROHE. if you are any of them.. to associate with GROHE Designer Alliance. Thanks for sharing such amazing kitchen designs.I have found a new alliance opportunity for Designers/Interior Designer and Architect with a company called water house designs. 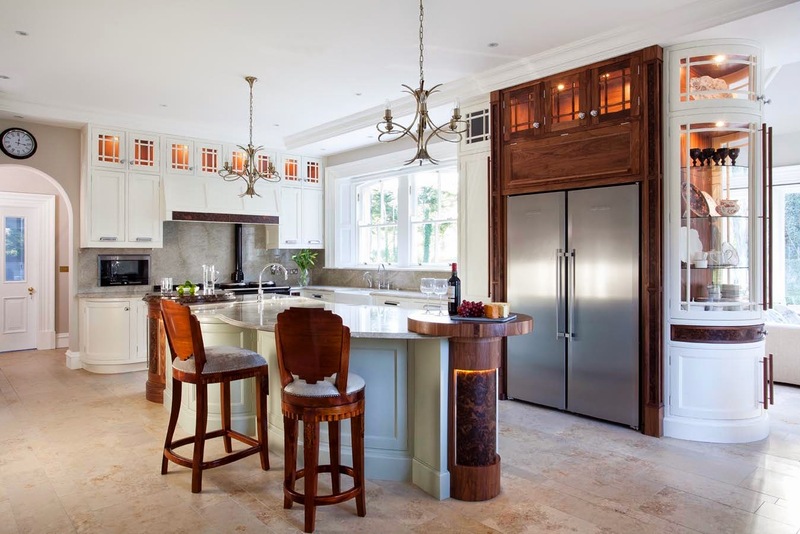 I have been looking to get a new kitchen design in South Shore MA. These look great! I love how creative this kitchen is! I would never have thought to try and mask it as a living room! My kitchen looks like it came straight from the 70's. I really want to revamp it and make it more contemporary but I don't know when I'll have the time to do it. Thanks for sharing such amazing Kitchen Backsplash Ideas. Hmmm, Your writing and entertaining style is so awesome, keep it up buddies! just discovered your blog and I love it! thanks for sharing.